Our own Kim Sandum on Interstate 81 – as published in The Roanoke Times. According to the prevailing wisdom, more lanes are obviously needed. Obvious but wrong. Most of I-81 doesn’t need additional lanes. The data says so. Traffic hasn’t taken a big jump on I-81 either. The data says that too. That does not mean there aren’t problems that need fixing. But understanding the facts is important so that we pursue the right solutions. Traffic counts are just starting to climb after a decade of almost no change. And crash data shows most incidents happen near interchanges. Extra lanes between interchanges will have little effect in these areas, yet improvements to interchanges can really help. Surprised? 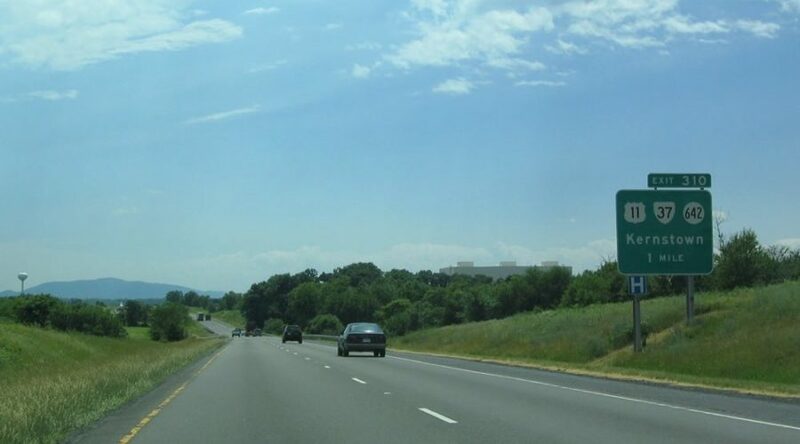 An example of an interchange project that has yielded significant improvements is East Market Street, exit 247, in Harrisonburg. Reconfiguring the interchange led to a decrease in crashes of 55 percent even though traffic at this interchange has increased by 21 percent over the same period. This effective project was much cheaper than adding an additional lane. There are several improvements like this that don’t require additional lanes – solutions like rapid accident clearing and greater speed enforcement. When the data is taken into account, more effective and affordable solutions are the clear path forward in the near term. And in the long–term, we must get the long-haul freight traffic off the interstate and onto the parallel rail line. According to discussion at the September Commonwealth Transportation Board meeting, one truck does the equivalent road damage of about 9,000 cars. There are more trucks using I-81 than it was designed for, though this is not the case with cars. When trucks are involved in accidents the consequences are more severe – injuries, fatalities, property damage and delays are all significantly worse. Those of us who live and work in the I-81 corridor want a roadway that works and is safe to drive. In the near-term, we need targeted safety fixes and improvements at pinch points. In the long term, long-haul truck traffic belongs on rail.